Esplicito Ep. 089 - RIP Greg Rapp, CANarchy Ladies! Captain Marvel (NS) Review, Galaxy's Edge & Game News! What are you drinking and what will you drink? If you've ever been to Tampa, Rapp Brewing has been my number one choice brewery for people to visit. Greg started the gose trend in florida (possibly in the US) and won national awards for his classic style interpretation. Perrin Brewing Company will brew a beer today in collaboration with Fermenta, a non-profit initiated by Michigan women that is committed to diversity, camaraderie, networking and education within the craft beverage industry. The beer is a loose tea-inspired brew with hints of ginger, lavender and honey. Crafted with a Belgian yeast strain and experimental hops, the result is a light, flavorful Witbier for a springtime release. Dubbed "Renaissance Woman," the brew will be released on draft and in 6-packs of 12oz cans in the Perrin Pub on April 11. Oskar Blues Brewery’s Brevard, North Carolina, location will host an International Women’s Day Celebration today in the Tasty Weasel Taproom, complete with the release of Gose Before Bros, a dry-hopped Gose brewed with coriander and sea salt smoked on Chardonnay barrels, which was brewed by an all-female Oskar Blues team in collaboration with the Pink Books Society. Gose Before Bros will also be available at the 2019 Biere de Femme Festival. You can also read int erviews with Oskar Blues’ production women in Brevard, North Carolina, Austin, Texas, and Longmont, Colorado. On March 13, Cigar City Brewing Company will participate in the FemAle Festival, taking place at Pegasus Park in Hallandale Beach, Florida. The FemAle Festival is a celebration of beer open to all beer lovers, that highlights female beer experts and brewsters. Cigar City Brewing representatives will be there presenting CCB’s award-winning beers. 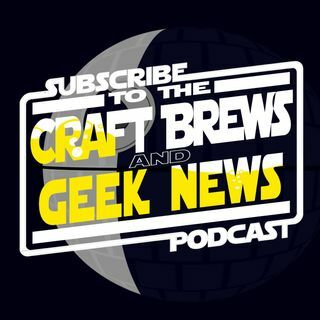 Geek news - Drink it or send it back? Star Wars: Galaxy’s Edge will open on May 31 at its California park and on August 29 in Florida. PS4 to work on any IOS device?